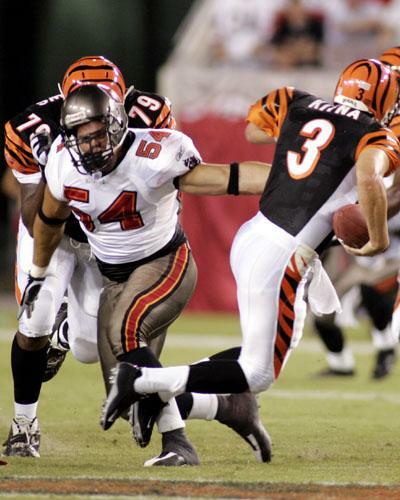 Made the 2004 team as an undrafted free agent long-shot having led the team in sacks during the pre-season. Was a game-day inactive for most of the first half of the season but played in five of the last six games as a reserve on the defensive line. Switched from his pre-season number of 54 to his regular number 93 when he made the full roster. Did not make the 2005 team out of training camp but went on to play a handful of games for Atlanta, New Orleans and Tennessee in hi NFL career.